Among the many foreign policy challenges that the next President of the United States will face, Iran will be a prominent one. The regime in Tehran is known for its instigation of terrorism and strife across Lebanon, Iraq and Yemen. It has gained notorious fame for its violent meddling in the internal affairs of other countries, its support for the regime of Syrian President Bashar al-Assad in slaughtering more than 500,000 Syrians, and its track record of human rights violations against its own citizens, especially women and youth. This makes Iran an imminent threat to regional and global stability and peace, as well as a de facto enemy in the fight against terrorism. And it has been proven time and again that turning a blind eye on the Iranian regime’s malicious venturing or fostering illusions that it can be an ally in fighting ISIS will do nothing to deter or lessen this clear and present danger. In fact, the policy of appeasement and concessions adopted by the current administration has not only failed to rein in Iran’s export of terrorism and human rights violation, but has prodded it to further undermine global security through manufacturing ballistic missiles, prototyping war drones, and continuing to fill the coffers of its extremist proxies in the region with the ransom money it receives from the West. While Hassan Rouhani, the president of the Iranian regime, was staying in New York to speak at the UN General Assembly, details were exposed about a deal between the U.S. and the Iranian regime, which granted Tehran $1.7 billion in exchange for the release of four American citizens and lifted sanctions from the main financial institutions that fund Iran’s nuclear missile program. The Iranian regime has constantly insisted that it needs sanctions relief to reinvigorate its bankrupt economy, but time has proven that tending to the needs of the country’s population is all but absent on the agenda of the ruling mullahs. Fact of the matter is, the funds released following the nuclear deal hammered between Iran and world powers are being funneled into Iran’s terrorist activities, its support of the Assad regime and its crackdown on dissent and opposition. Of special attention is the state of human rights in Iran, which has deteriorated since Rouhani has assumed office, and has become an issue of concern among members of the U.S. Congress. Prominent members of the U.S. House of Representatives recently introduced a resolution that condemned the Iranian regime’s mass killing of political prisoners in 1988, and called for justice for the victims. Silent and unpunished to this day, the 28-year-old massacre was carried out under a fatwa by Khomeini, the founder and then–Supreme Leader of the regime, and in the span of four months, more than 30,000 political prisoners were executed. 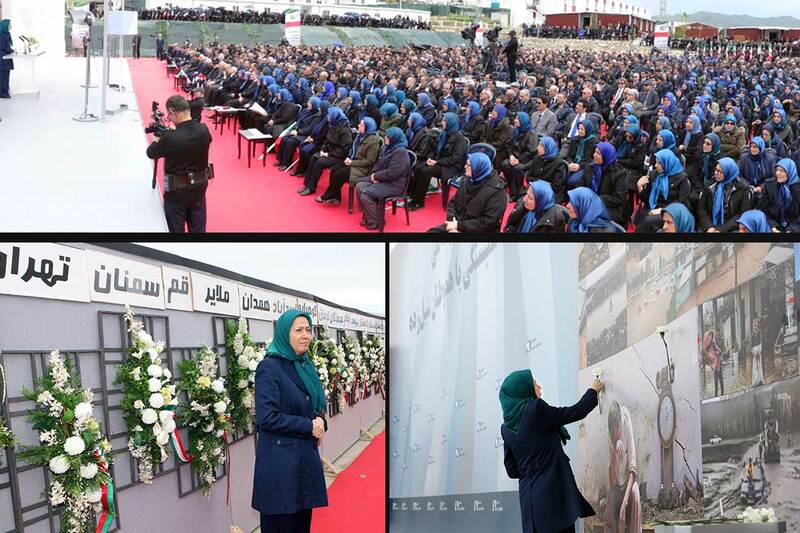 The victims were mainly members and supporters of the People’s Mojahedin Organization of Iran (PMOI), the Iranian regime’s main opposition group. This is the same group that, in later years, unveiled Tehran’s secret nuclear program and has later garnered support across the globe, including on both sides of the aisle in the U.S. congress. 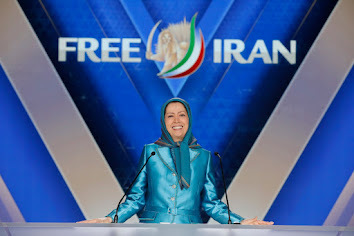 Today, the PMOI is part of the National Council of Resistance of Iran (NCRI), led by Mrs. Maryam Rajavi, who has become the leading voice for regime change in Iran. The executions were orchestrated by a group of clerics who became known as the “death committee.” What’s noteworthy is that those same persons now occupy key posts across the country. A striking example is Mostafa Pourmohammadi, who now serves as Justice Minister in the government of the self-proclaimed “moderate” Rouhani. This only proves that the idea that “moderates” within the ranks of the Iranian regime can be strengthened against “hardliners” is wishful thinking. But unfortunately, for political and economic reasons, searching for “moderates” and appeasing the Iranian regime has remained part of the U.S. foreign policy to this date, inevitably resulting to the further undermining human rights in Iran, and instability across the Middle East region. Whoever wins the next U.S. presidential elections will have a chance to right the wrongs and steer the foreign policy in a direction that will restore regional and global peace and stability. The right place to start is to put an end to over two decades of appeasement toward the Iranian regime and holding its officials accountable for the uncountable crimes committed in Iran and across the world. It is about time that the U.S. stands with the Iranian people and their resistance movement.